Are you struggling or getting confused about how to install Google Analytics on WordPress? Does it sound too hard for you to get started with it? The difficulty level of adding Google Analytics to your WordPress site depends on the way you are installing it. 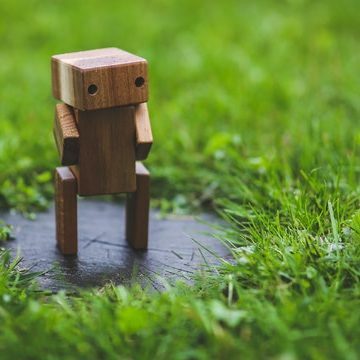 Meaning it can be as easy as 123 or can be a bit harder or messy (depends on your level of experience) if you choose the hardest one to install the code on your website. I’ll elaborate 3 different methods to install Google Analytics on your WordPress site from easiest to toughest. But before we get started let me explain to you what Google Analytics actually is that you should know (but if you are familiar enough with Google Analytics jump right into your solution by clicking on the table below). Google Analytics is a website or mobile application tracking service that collects or gathers the online activities of the respective users. 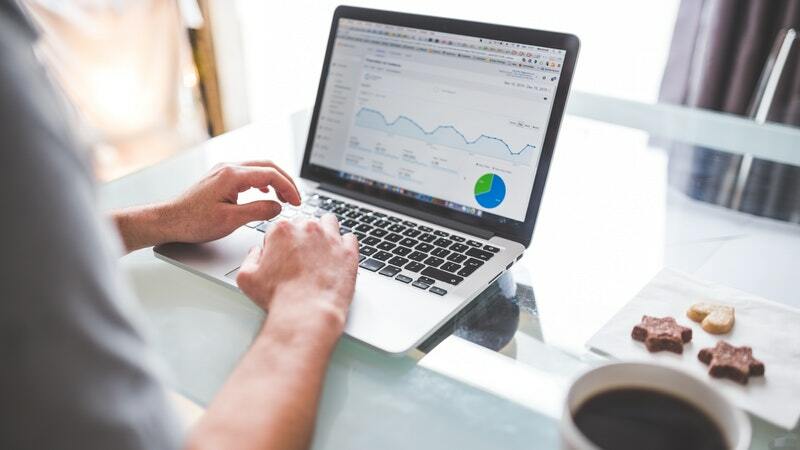 The activities of the people that are recorded in Google Analytics such as the name of the web browser, the device that is being used, traffic source, geo-location, ISP, what Operating System is used etc. The total number of page views. How many pages are being viewed per session by a user on an average. Bounce rate (percent of users those are left immediately after visiting your website). User behavior (which specific pages are viewed, how much time is being spent on each page etcetera). 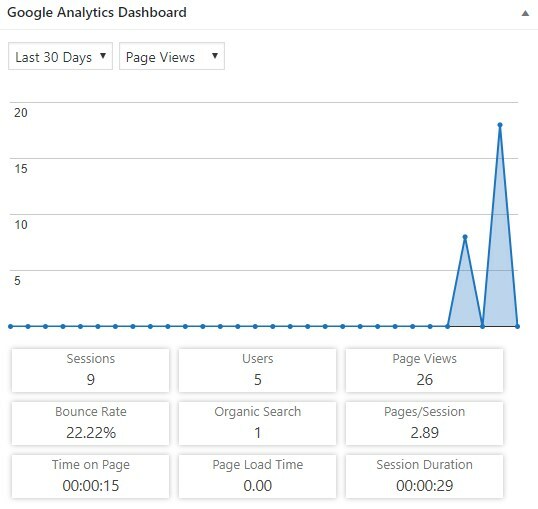 Google Analytics also provides user visits in real time! 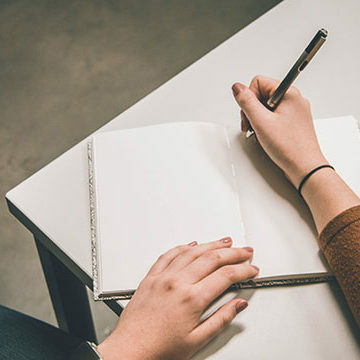 All of the above metrics are extremely useful to make your business better, products better, service better or even your textual contents better. It can even take your business from zero to hero if you follow its valuable metrics and take necessary actions. Signing up for Google Analytics is a fairly easy process. In the Account Name field, type in your desired name. It can be anything, like your name, your company name or whatever you want. In the Website Name & Website URL field type in the details as applicable. If your site is running via the HTTPS protocol, make sure you have chosen the HTTPS prefix. Choose your Industry Category & Reporting Time Zone as applicable. On the following page, select your country and accept their Terms of Service. Now it will take you to a page with the Tracking ID & the tracking code snippet (Global Site Tag). You can copy them somewhere or you may access them later via the dashboard before installation. Search for the Google Analytics Dashboard for WP, then install & activate it. 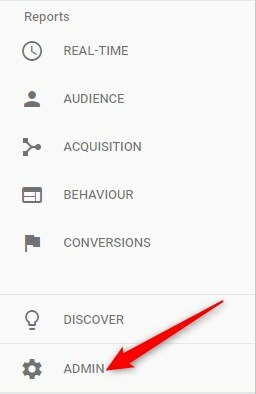 On the left horizontal menu, click on Google Analytics>General Settings. 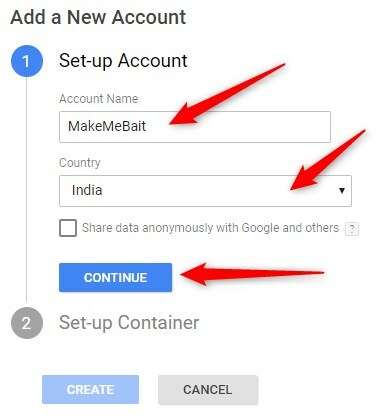 Click on the link Get Access Code and select your Google account in which you created your Analytics account. 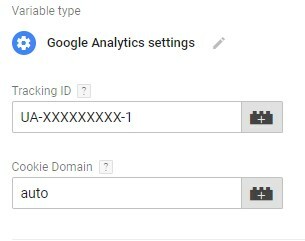 Allow the plugin to access your Google account to fetch the Analytics account information. On the next page, you’ll be prompted with the access code. Just copy it and paste in the plugin’s access box and click save. Google Analytics has now been added to your WordPress site and from now on, all of your website traffic will be tracked. You can even view your site stats on the WordPress admin dashboard without logging into the Google Analytics account. It shows all kinds of significant stats like referral traffic source, bounce rate, browser name, screen resolution, geo-location etc. Note: If you only want to install GA tracking code and don’t wanna see any stats on your dashboard, try installing Insert Headers and Footers plugin. This plugin is super-simple to use. Just install & activate it, go to Settings>Insert Headers & Footers, paste your Global Site Tag in the Scripts in Header box and click on Save. That’s how easy to use this plugin is! If you wanna get a bit more advanced and want your hands to mingling with codes, use the following technique. Google Analytics tracking code can also be added by editing the theme’s functions.php file. But before you take an action to add the tracking script to your site, make sure that you are using a child theme. So that, you won’t lost the tracking code while updating your WordPress theme. Note: You can still edit this theme file without a child theme, but you have to add the code snippet everytime you update your theme. 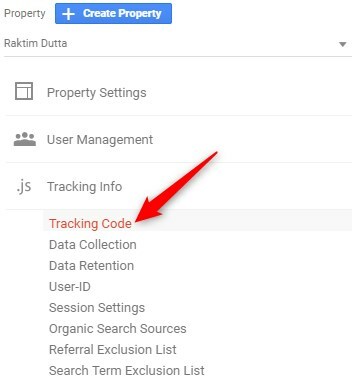 First, you have to copy the tracking code from your Google Analytics account. Under the Property section click on Tracking Info>Tracking Code. On the following page, copy the code snippet from the box under Global Site Tag (gtag.js). Now, log in to your WordPress administration panel. 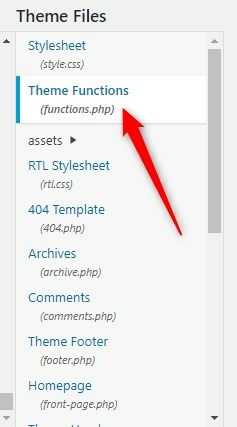 Under the Theme Files section, click on Theme Functions (functions.php). At the end of the chunk of codes, copy & paste the following code snippet. After pasting the above code, replace the comment line // Paste Your Google Analytics Code Here with your tracking code snippet. And click on Update File. 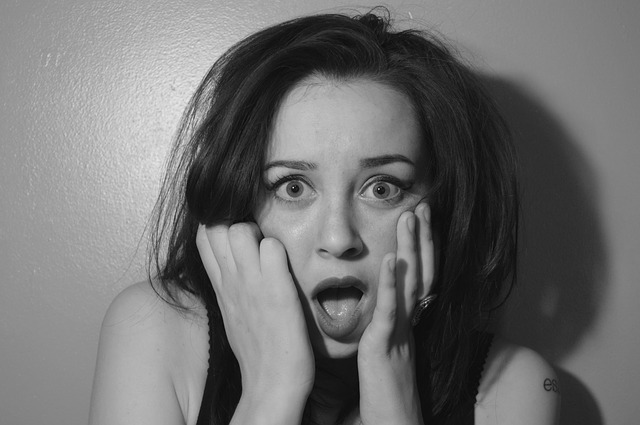 You’ve just finished adding your GA tracking code to your WordPress website. 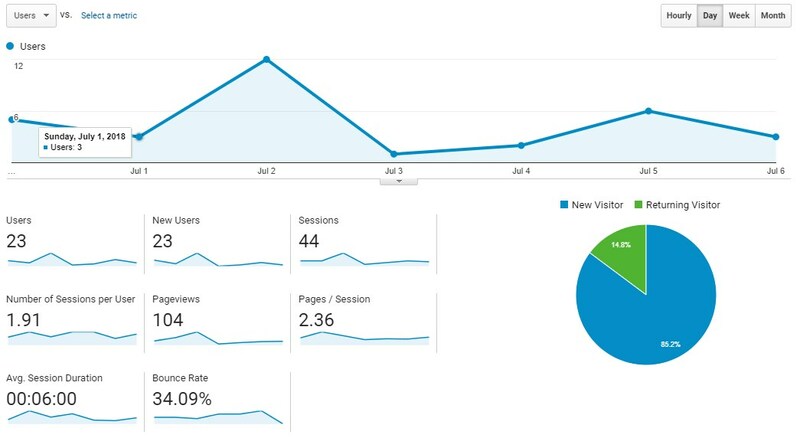 Go to your Google Analytics account and see the traffic coming to your website. But do remember that, GA cannot show your website traffic received before installing the tracking code. Now let’s tap into the last & smartest solution to add Google Analytics to your website using the Google Tag Manager. So you have to wait for a few days to really understand your traffic pattern. Google Tag Manager is an incredibly smart solution to add GA to a website. 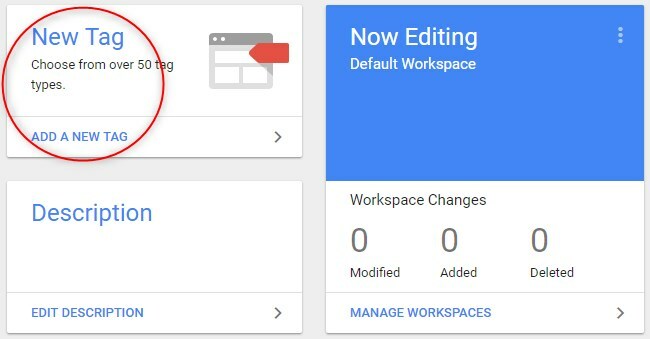 All you need to do is copy the GTM tag to your website to connect it to the Tag Manager service. Just keep adding your tracking scripts from the comfort of the GTM’s administration panel! 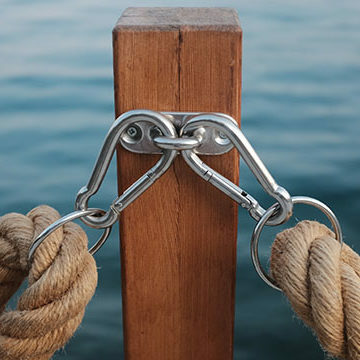 GTM helps you to add any type of tag or codes to your website. Yep, not only Google products but also allows you to add third-party tracking scripts; such as Bings Ads, Crazy Egg, LinkedIn Insight etc. It even allows you to add your own custom tracking scripts! It helps a lot… especially if you have a plethora of tags being implemented on your website. On the prompted page, enter your Account Name, select your country and hit Continue. On the next page, you have to create a container (a container holds all of the website tags). 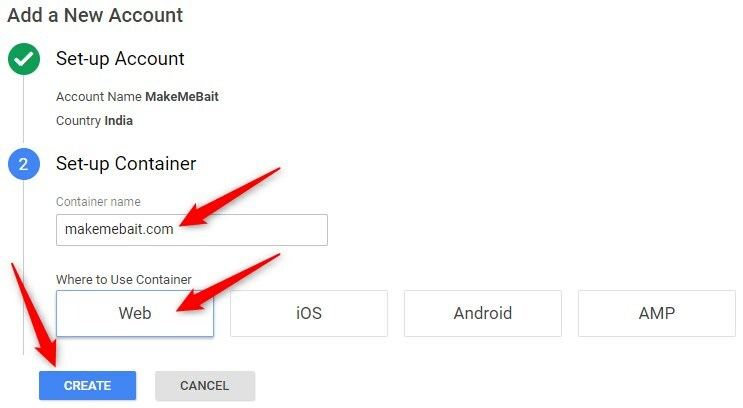 Give a name for the container and select the Web option on which the container will be used. Before you install GA, you first need to add GTM code to your website. And as GA, there are two methods that you can use to install GTM on your website. You can either use a plugin or edit the theme’s functions file. To add the Google Tag Manager code snippet on your WordPress website, download the Insert Headers & Footers plugin. Go to Settings>Insert Headers & Footers. Copy & Paste your GTM code in the box under the Scripts in Header. Click on SAVE to make the necessary change. Scroll to the bottom and at the very end add the following code snippet. 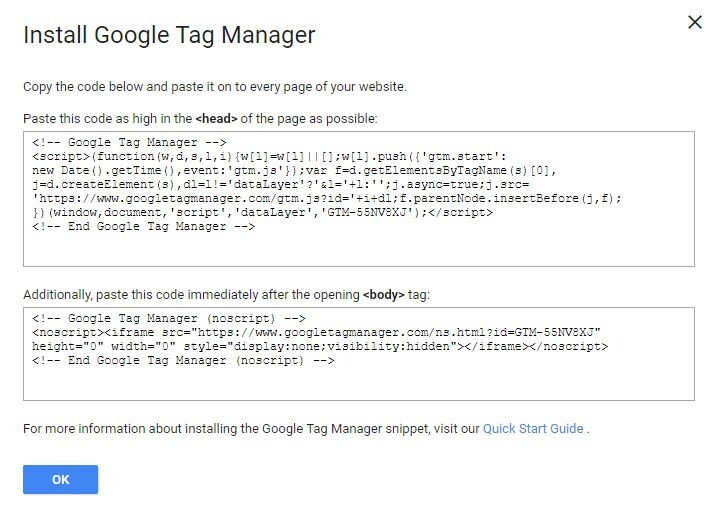 As stated above, just replace the line //Paste Your Google Tag Manager Code Here with your GTM code. Click on Update File button. First, go to your GA account. In the left menu click on Admin gear icon. Locate your GA tracking code by going to Tracking Info>Tracking Code. Copy the Global Site Tag code snippet. Now go back to your Google Tag Manager Account. and click on the pen icon of Tag Configuration. 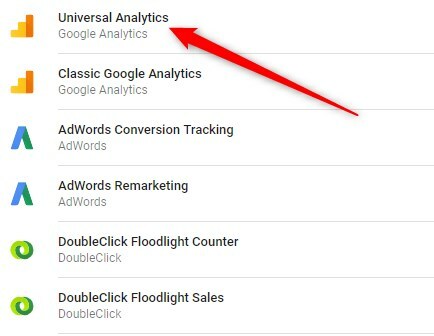 Choose Universal Analytics from the types of tags. Leave the Track Type option as Pageview. 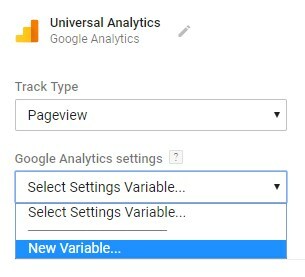 Click the drop-down menu under the Google Analytics settings and select New Variable. 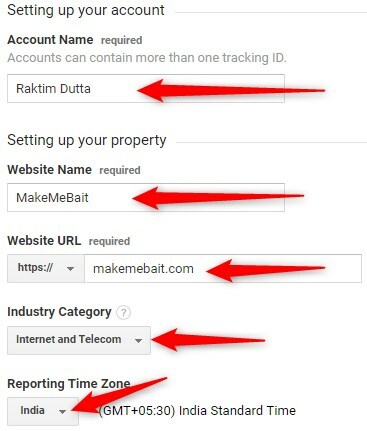 Enter your Tracking ID and leave Cookie Domain as auto. Under Triggering click the pen icon. Select All Pages and click on ADD. Now… select the SAVE button. To put these all settings into effect, you need to click the SUBMIT button in the top menu bar to publish the container. That’s how you install Google Analytics using Tag Manager. Go to your GA account and see how the users coming in, going out, interact, convert and so on. Has this article solved your pain point? 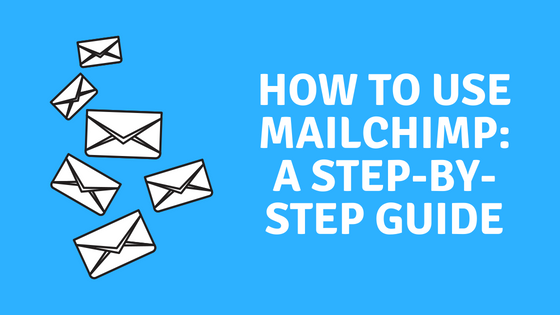 Which method have you used to add GA to your website? Do let us know.